Alex Silver-Fagan: "Athlete, Trainer, Creator, Personality, Model, Instructor, Speaker, and at the end of the day: Determined." More of the photos from the shoot over on the Stories section. 2019 has by far turned out to be very amazing with regard to my photography. I keep reciting in my head how it'll be by far the year I've find myself photographically because up until this point there's no question where my passion lies in terms of the type of work I love to shoot. Luckily the fitness community in New York is so vibrant and diverse that working with one person has translated seamlessly to connecting with other trainers who specialize in other areas and who's sole mission continues to be in educating people on how to live a more active and healthy lifestyle. To view the rest of the photographs I shot with Callie along with a short video, visit here. In the same way that Eat, Pray, Love has resonated with so many people and for me personally her book Big Magic has, there's never an instances when I don't make the effort to find a quiet corner in the house, put on my noice-canceling headphones and really listen to a latest Elizabeth Gilbert talk and this latest one really set me in place and I really encourage you to view it especially if you're the type that's been questioning your next move in life with regard to your profession. Elizabeth says, “just recognize your job doesn’t have to be your whole life. Your life can be outside of that.” This is particularly important to recognize because while we may spend more of our day time at work than anywhere else, it becomes easy to identify yourself as someone who just works non-stop and that your are your job/career and so you fail to discover a pastime outside of work to clear you mind. For me it's photography but for you it can be anything else. You are your own person but you'll never conscious of that if you don't take the time to discover it. During the time when I was planning out the logistics for a 4-day trip to Tulum, Mexico with my wife for her birthday, I came across this absolutely stunning gym located in the heart of the city. "Tulum Jungle Gym is a real life Fred Flintsone gym. Nearly all the equipment is made of wood or stone." Prior to flying out, I reached to Katie Davis, trainer and co-owner of the gym with hopes of possibly securing the opportunity to shoot with her at the gym despite the limited days that I would be spending in Tulum. Luckily we were able to work it out. I ended up taking a taxis to the gym at 6a.m which was 20min away from our hotel. We shot a total of 3 looks one of which I'm glad to finally share along a short video showcasing the experience. "Being a parent is already very much like being an artist. It means always lugging things around, living in chaos, doing things that are mysterious or impossible or scary. As with art, children can drive you crazy all day, make you wish all this could go away. Then in a single second, at any point, you are redeemed with a moment of intense, transformative love." To give you quick overview on how I manage being a parent, working a full time job, being a husband and having a creative outlet on the side: It mostly involves a lot of sacrifice on the social aspect. I really don't have much time to spend with friends as I would like. As for the work I do shoot, I attend to it on weekends while editing any of it after 8:30am once the kids have been put to bed. The entire dynamic is a little challenging but I don't think I would have it any other way because it's a routine I've adapted to. One of the aspects of working with video which I use to find very intimidating was figuring out a way to retain and apply that same aesthetics I've used on my photos and implement them on to any video I might of shot. I struggled to find a straight-forward process until I came across this video by Elenor which answered the same question I've been having ever since I began using Adobe Premiere as my main video editor: how can I use one of my Lightroom presets to color grade videos without going crazy scouring the web for one that closely resembles my aesthetic? Elenor does a great job walking you through the process of achieving this by using a pay-what-you-want software called IWLTBAP LUT Generator which is the key element in generating a .CUBE format file which you import into Premiere and contains all the color grading from one of your Lightroom presets. 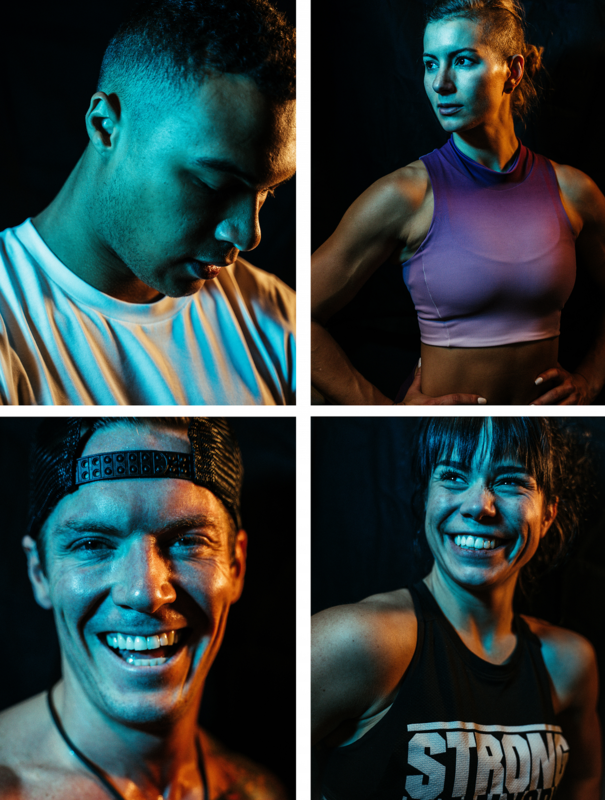 For the past 2 years I’ve been had the incredible opportunity to work alongside the incredible crew at Solace, a premium health and fitness facility conveniently located in the heart of Manhattan. 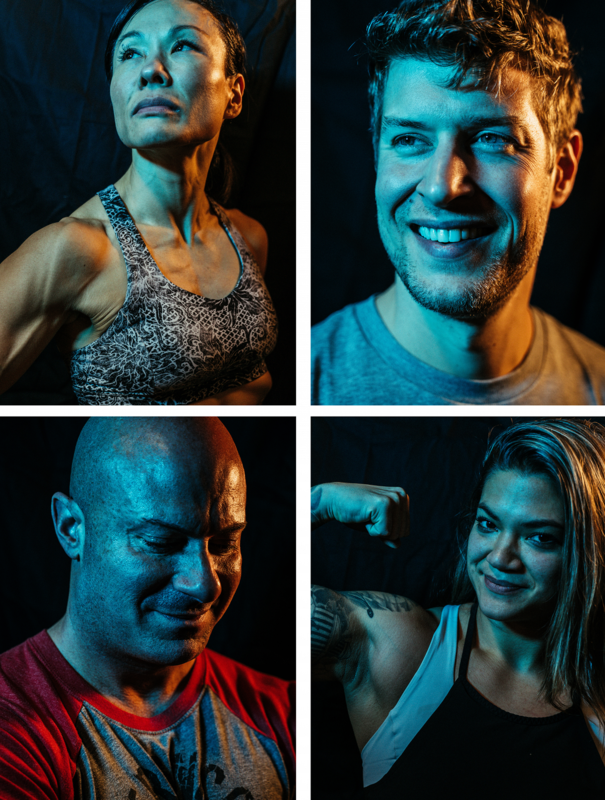 Each year they’ve put on a fitness and wellness event called Strong New York hosted by Jen Widerstrom and comprised of workout and seminars led by the most influential health and wellness experts in the industry and benefitting Alzheimer’s Awareness Month. In addition to shooting the event, I also wanted to offer some portraits as well but different from what I had shot the year before with the intent to challenge a bit more. I’ve never worked with constant light LED panels but I came across a very affordable set on Amazon, so I figured it would be a great time to experiment with them. The setup was pretty straightforward. Both LED panels were gelled and placed diagonally across from each other. To view the rest of the portraits, head over to the gallery. I've been mulling over the idea of re-doing my site longer than I like to admit. As it with most ambitions, we tend to procrastinate because we assume there will be this magical time that will come into existence but of course that never occurs because life happens and priorities shift. For the longest, Squarespace has been held in high regard among the photo community. I've been a member for the past 8 years and while I've never necessarily had anything substandard to say about the platform considering I've recommended it numerous times to so many people, I was simply ready for change. There were a handful of other platforms I was considering when it came to starting fresh elsewhere, none of which supported any type of Squarespace migration workflow so in the end, I came to terms that I would have to shed what I've published in the past and start something new. After carefully considering my options, I opted to re-create my website using Pixpa. Looking around you may immediately get the impression that my site is more or less the same as before but I can assure you that underneath the hood it's an entire new world. Regardless of which platform I migrated to, it was important for me for any platform to have the ability to continuing blogging because sometimes regardless of how much admiration you may receive from your creative work there's instances when you wish to share more about what went into creating it.